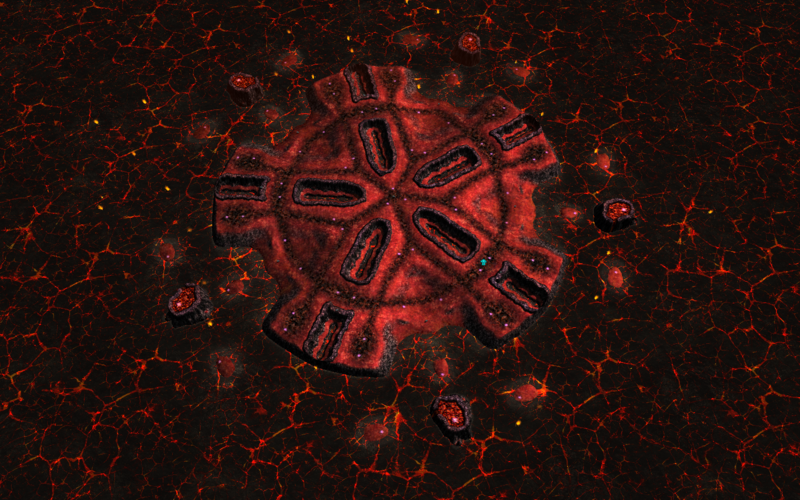 Lava now renders at initialization and has improved tiling to appear less repetitive. Crystals no longer block fire. Ambient lava sfx no longer causes conflicts with music. The ambient sound is very nice. Normally the game has no in-world sounds until fights happen so the audio cues help you immerse in lava during the early-game. "Immersing in lava" sounds like something I would prefer to avoid. A bit warm. I thought of using this map in sprang trailer but decided it would look too much like an occult game. Can you say Zero-K Tournament of Power? This stage filled my request from the future. Would it be possible to make the lava outbreak animations actually damage nearby units? It looks kind of ridiculous when you have units on a terraformed ramp 1 elmo away from the lava without any effect whatsoever. Yet all it takes is a little push and they die. 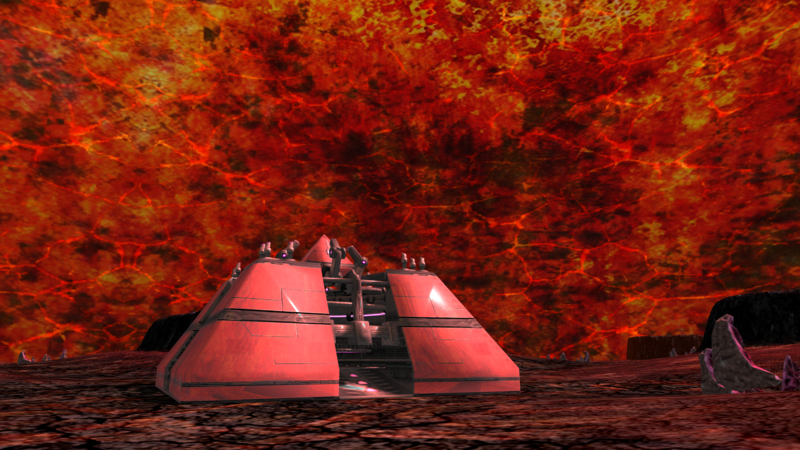 So if you build a terraformed base just mere elmos above the lava you'd at least have the risk of getting violently lava splashed at the edge of the terraform. Spring.SpawnCEG has radius and damage parameters, so this is probably trivial. CEGs kinda work the other way around, weapon damage is passed to the CEG to be used as an intensity modifier, but CEGs can't cause weapon damage themselves. It's possible to couple these with Spring.AddUnitDamage though, or create a "weapon" which explodes in lava bursts and use Spring.SpawnExplosion instead.